[Obligatory spoiler warning for the third season of Homeland.] As a working actress with a busy schedule, Jennifer Lawrence doesn’t have time to keep up with her favorite television shows as they air. And so, while on the red carpet for this past weekend's SAG Awards, she geeked out during an interview with Access Hollywood when she noticed Homeland’s Damian Lewis nearby, with one major catch: She’s only seen the first two seasons, so she had no idea of Brody’s fate at the end of the most recent season. 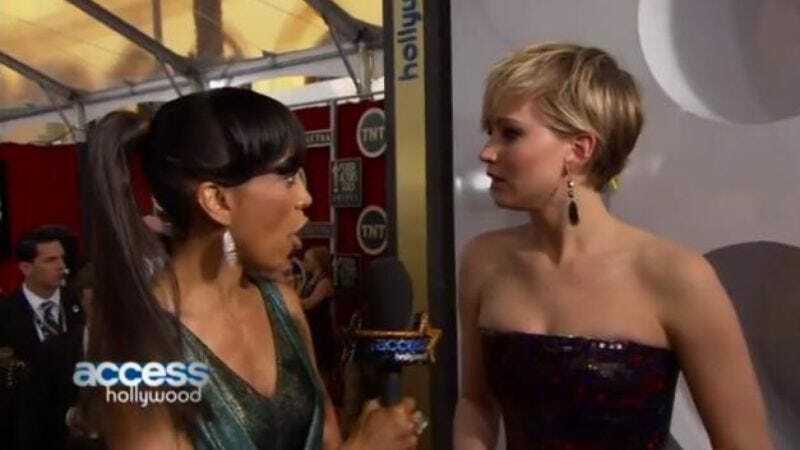 Let this be a lesson to all red carpet reporters conducting tedious pre-show interviews: Do not spoil TV for Jennifer Lawrence, lest ye incur her wrath and be branded a monster.